Competitors are divided into four age divisions: 7/8, 9/10/ 11/12, 13/14. Age is determined as of July 17, 2019. All participants must have completed a registration form prior to start of competition. 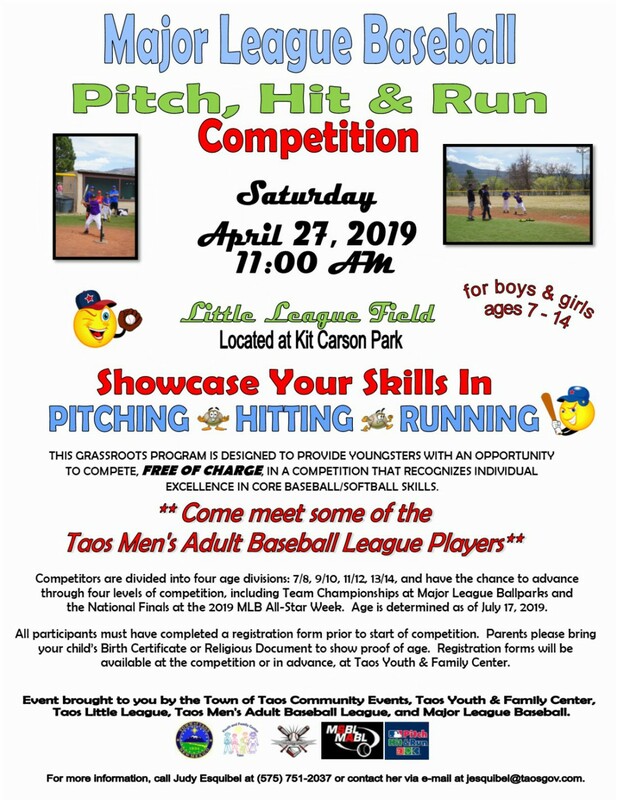 Registration forms will be available at the competition or in advance, at Taos Youth & Family Center. Parents, please bring a documentation to show proof of child’s age.